Book Your 2017 Event With Us Today! Words cannot express the gratitude I have for the love, trust and support I’ve received throughout the years; specifically, in 2016. What an amazing year!! I have so many people to thank. Among these I’d list the wonderful wedding vendors, their recommendations, clients I’ve worked with (that continue to retain our services), all the college community in the area and the referrals made by clients from the past. With all my heart, I THANK YOU!! This year, as every year, has been a wonderful learning experience. I am fortunate to take the lessons and experiences of 2016 into 2017. We work tirelessly to make every event, big or small, an event to remember. We strive to stand out from the majority and stand alongside the elite. Constantly re-investing into our company gives us the opportunity to create the elegant and exciting element our clients desire. I’m so proud of the work I’ve showcased in this video. My love for music and entertaining has evolved into something I never imagined. For those of you that I haven’t had the opportunity of working with, I hope and look forward to crossing paths with you in your event planning. As we head into a new year, we will continue to grow and offer the quality entertainment you imagine for your special event or dream wedding. ​One of the most controversial wedding traditions is the Dollar Dance (also called the Money Dance). Expected in some cultures and regions, abhorred in others, the Dollar Dance is a dance where guests line up and give a dollar to the bride or groom in exchange for a dance. Though each couple only dances for a few moments, the dance can go on for a while until everyone has had a turn. ​One nice aspect of this is that the bride and groom have the opportunity to personally thank each guest for coming and chat for a moment with them. However, it can also be seen as a tacky way to extort more money from guests who have already spent quite a bit on transportation, lodging, and a wedding gift. Sometimes couples make the decision to have the Dollar Dance because it is expected on either the bride or grooms side. Unfortunately, one side of the family will probably be offended. Ultimately, in effort to qualm everyone’s emotions, measures like putting a note at each table explaining what the Dollar Dance is and that it is a cultural tradition are being taken. Me personally believe that we've all become overly self-conscious. The dollar dance is a fun and wonderful tradition. In recent years, the dollars are handed to someone in the bridal party but I think it was more entertaining when the money was pinned to the bride and groom. Dollar Dances are a great wedding tradition because it gives you an opportunity to thank your friends and family for being a part of your special occasion. It also gives your guests an opportunity to congratulate you and wish you well on this new chapter in your life. Most importantly, you've carefully selected specific individuals to take part of this joyous occasion with you- friends, family and loved ones! That being said, you're in the no judgment zone! Your chosen guests are there because they love you without any judgment and want to be a part of this new venture in your life regardless of a cost of a ONE DOLLAR Dance. Everything that takes place on this special occasion bares traditional value and everyone should be honored to have been selected to take part in this special day. Let's talk shop! I want to know what your thoughts are on this subject! 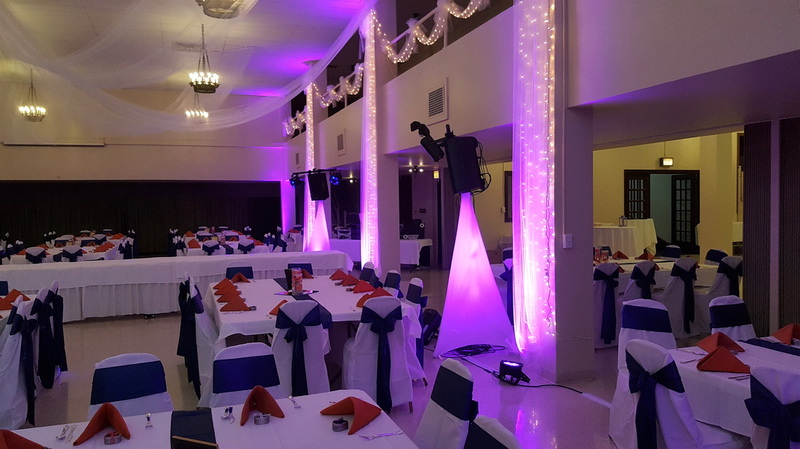 Book you event with South Bend Premier TODAY!